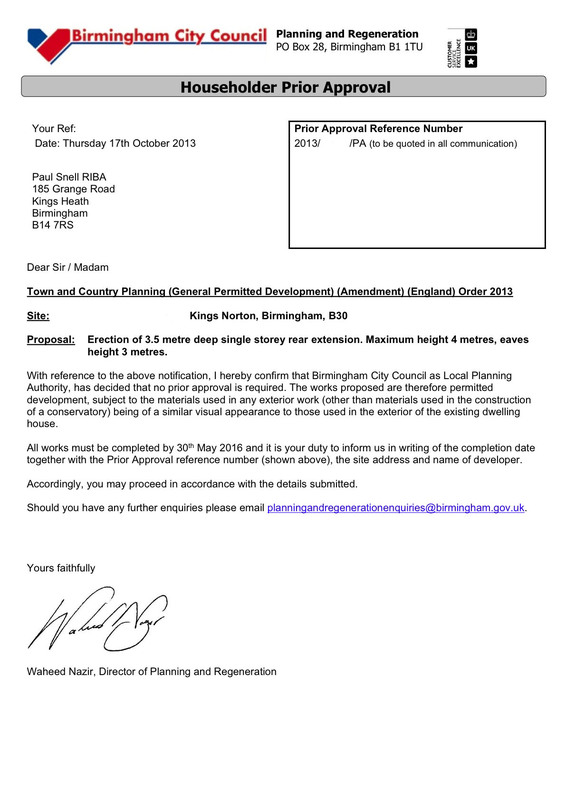 So far I have made two applications for larger permitted extensions. The first raised an objection from a neighbour. The planning officer came round (hi Kerry!) to see if the scheme would be compliant with current planning policy, but it fell foul of the neighbour’s right to light guidance. It was a 3.6m rear extension – 3.0m would have passed under normal PD rules, but not this. You can have as many free goes as you want and the neighbour is set to move, so we will take another shot at the title when the champ retires (sort of). So the process takes one month, but one detail you might notice is that the work must be finished on site by 30th May 2016. If you allow twelve weeks on site and four weeks for determination, then if you are making your application after January 2016, you better have your contractor ready to start, with a price, when that letter drops on your doormat (or bleeps into your inbox). 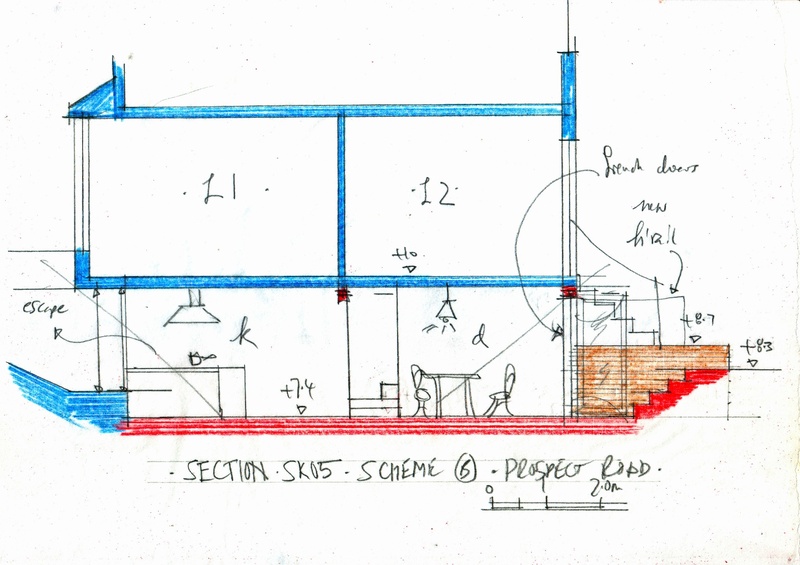 I am looking at a basement scheme for a client. Don’t get me wrong, it’s a scheme with a lot of potential – 30m2 of it to be precise, but if you are thinking of a basement scheme the first question you need to answer is “how much will this cost?”. To help find out the answer I have drawn up a sketch scheme and me and the builder will go round on Tuesday after school to have a look. Compared to going up, going down is very expensive and the first cost to establish is what will it cost to move the muck? I am guessing about £250 per cubic meter. We need to move about 26m3, so that should be about £6.5K. Sounds like a lot of money for a man with a barrow and a skip – but there’s a little bit more to it than that. The experts will explain it all to me next week. *For those watching at home, don’t forget the cost of the build as well!